From the classic 1966 Batman TV Series with Adam West! 10-inch plush figure of Robin! 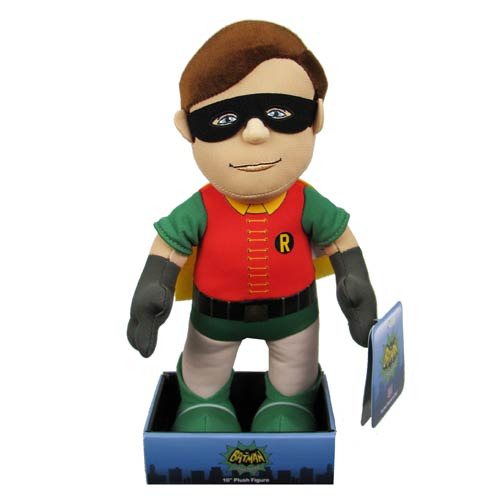 This Batman 1966 TV Series Robin 10-Inch Plush Figure is the perfect Robin toy for young and old fans alike. Robin measures 10-inches tall and is quite the softie! Bleacher Creatures takes all your favorite Batman heroes and villians and transforms them into soft, lovable characters! Ages 3 and up.